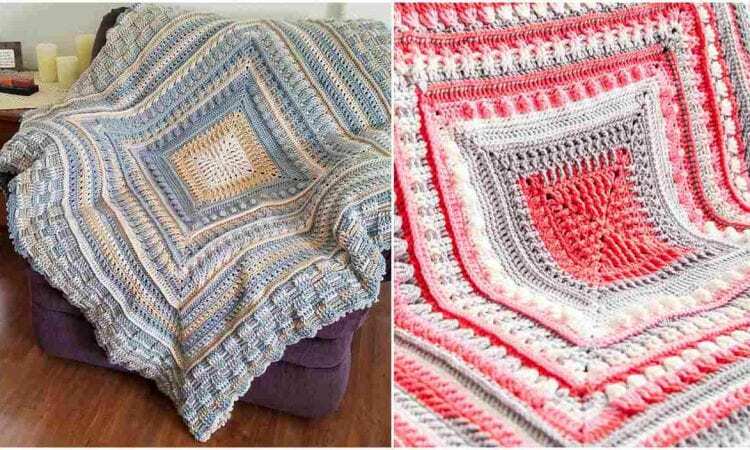 This blanket is designed to enable you to play with a different textures, with a detailed tutorial how to make each of the elements. The varied textures will play very nicely with contrasting color schemes, and the net effect will be a highly decorative and intricate blanket. This will be a challenge for a junior crocheter, and an interesting project for the veteran. More info about projects you can find here and here.